I'm on Twitter. Clearly no one I know or follow jokes about murder. Citations, please. Omar is in a position of power. She is a congresswoman. Antisemitism from leaders must be called out. This was a public tweet. I actually agree with you, in terms of calling out. Though I suspect, like Orange above, she is somewhat unaware of her bias. I think the same standard should be applied here. Calling out discrimination. I don't know if disingenuous is the right word. 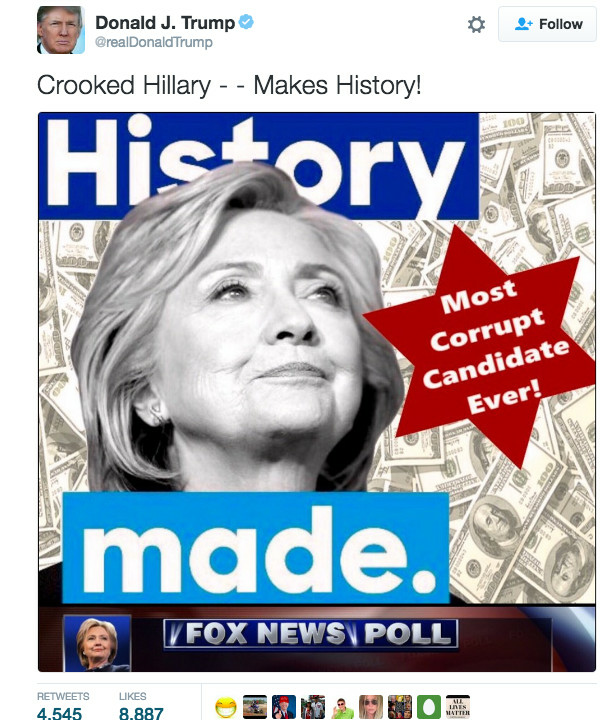 I don't think that she understands that she's anti-Semitic, or that what she says is anti-Semitic. Which is obviously a problem. Of course, the same can be said of others. Like McCarthy. 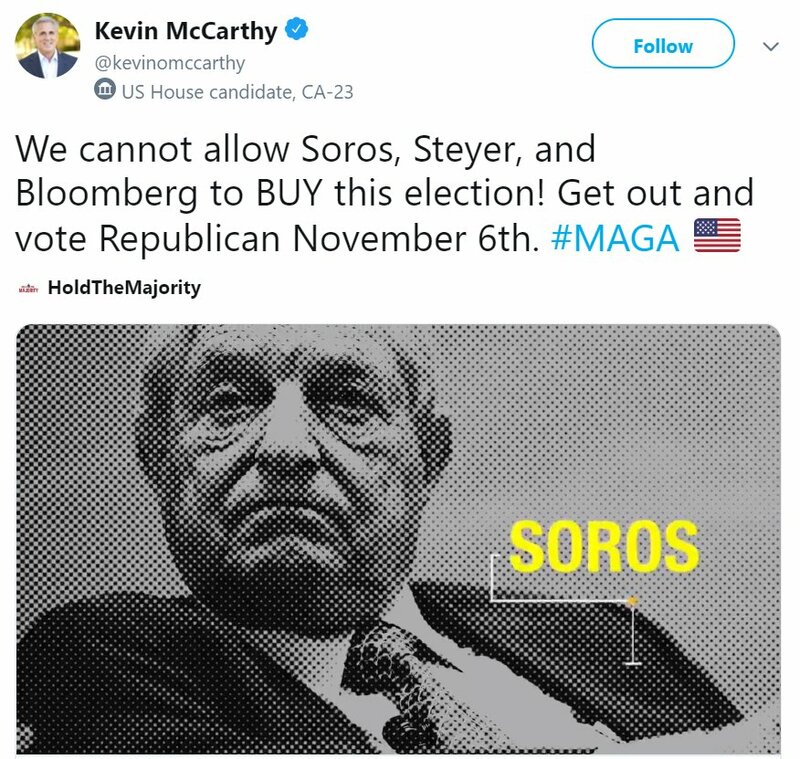 I mean, is saying that the Jews are trying to buy elections a problem? I usually sway liberal btw but I’m not a fan of Omar and some other new congress-people. And yes that tweet is very similar anti-Semitic cr@p. Clowns to the left of me, jokers to the right, here I am. So you're got a 19 year old photography student, some dude from Alabama, and what appears to be a bad attempt at a humorous Nikki Minaj tribute account. And the last describes herself as a MAGA veteran, so I'm guessing she's not liberal. Nope. Don't follow any of them. Nope, don't see this as mainstream, or representative of academics or anything serious. I actually do buy that she was surprised. She is genuinely anti-Semitic, but she genuinely doesn't see it. And no, I'm not a fan of her's. Well, since Republicans elected someone who posted this, why would anyone thing they wouldn't love those as well? I think this is great, why would that be so controversial here? I assume you mean Sarah Jeong. She didn't actually say that, you know. She did respond -- in a nasty, acerbic way -- to taunts against her. And its not unreasonable to call some of her comments racist. But genuinely calling for genocide. Nope. How many jokes about white genocide until you acknowledge that there's genuinely hatred and a desire to kill all white people behind it. You are really upset when internet randos post jokes about white genocide. But not a bit upset when the president of the United States posts jokes about Native American genocide. Is this really the first time you're hearing about this? Um, no. That was her excuse -- "punching up" as a marginalized minority woman. A marginalized minority woman who happened to be a Harvard Law grad. There are plenty of marginalized minority women, but it's hard to make a case that Sarah Jeong is one of them. The problem with this excuse was that her tweets were not sent in direct response to some trollish Twitter denizen. But I see the argument has shifted a bit. I pointed out that calling Gray Amother a racist was a cheap shot that just makes race relations worse and that while fearing white genocide is clearly an overstatement in the U.S., there are plenty of people using that kind of rhetoric. I was then asked for sources, and others were happy to step in. Now it seems that it's not enough to call for white genocide. One's call has to be "genuine" and one has to be "known" to the people calling for sources. And these examples were all on the first page of DuckDuckGo results. Are these individuals capable of committing genocide? Of course not. That's ridiculous. They're probably stressed enough teaching four or five classes a week while penning their outrage. But the rhetoric is out there, and it is detrimental to race relations.